POAAL has been in ongoing discussions with Australia Post regarding the return of unused 60c stamps. The discussions have at times been difficult, however we can report success. Australia Post has agreed to accept returns of unused 60c stamps from LPOs. Licensees should by now have received a circular from Australia Post detailing the conditions of returns. Note that the returns only apply for full sheets, rolls or booklets of 60c stamps with a minimum value of $60. 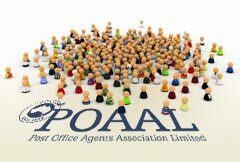 Another win by POAAL for Licensees.